Age group triathlete who stepped up this year to become Age Group 70.3 winner at Ironman 70.3 Atlantic City and complete a Sub 10 Ironman at Challenge Roth. Adding to the season, some excellent performances in Time Trialling with a 54 min 25 mile, 50 mile and 100 mile races and new PBs for half marathon. With an extensive race calendar, Richard has raced and finished the 70.3 championship events and now has eyes on a 2.45 marathon at Manchester and qualification for the Championship start at London. 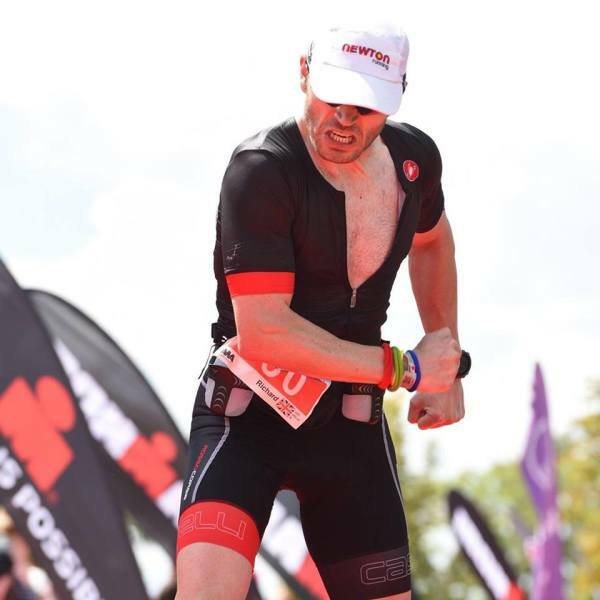 Richard has been involved in triathlon for a number of years and joined the tribe in February 2017 to continue his development and push towards some of his more ambitious triathlon and running goals. Under the Chief’s guidance he completed his first full distance triathlon, Challenge Roth, in 9:52, which is one his proudest triathlon achievements. Maintaining a healthy balance between training, racing, work, travel, family, friends, beer, wine, dominos pizzas and other interests is important to him, and he believes having a coach bespoke training plans is the cornerstone of this. He likes to combine his passion for triathlon with travelling, so usually jets off somewhere exotic to race. In recent years, he has completed events across Europe and the US.